So it’s done. Vineman 70.3 is over. Along with it goes my racing…..for now. If now is a few months or a few years or a few decades it’s all good. While triathlon will be and has been a big part of my life, sometimes the things you know best have to be let go. I can’t complain, it’s been a good second run. Starting back in 2001 or 2002 with duathlon then progressing back into triathlon in 2005 after eight years of not doing a tri. I was fortunate enough to be able to meet lots of people through this latest run and even make some very good friends. 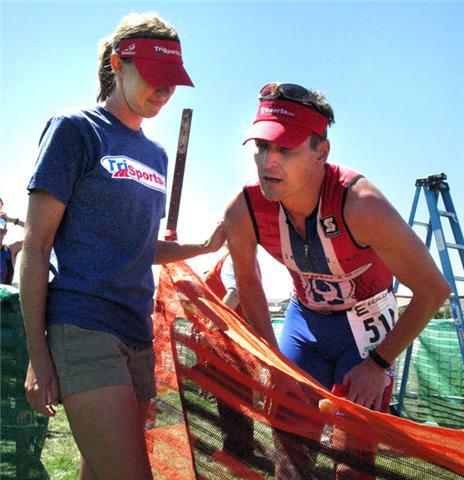 From Olympic medalists, to neo pros, to IM winners, to your typical Ager. I’ve met people from around the world, have gotten home stays with complete strangers and put complete strangers, some more strange then others, up for the night or three. I’m sure not going to miss feeling like this after the end of a race. I’m not sure what I’m going to miss about ending my racing career for now. I am looking forward to not having to go work out or worry about if I stay up late how will this impact the next day. It’s also nice knowing that should I want to race again, even with the reduced workout schedule I’ve been on, I’ve still got some horsepower to fall back on. Racing has always been something I just did. Show up race morning, flip the switch on then do the race. Finish the race and flip it off. I can’t really say it’s been about beating others or winning the race, but more about racing smart and doing the best I could that day. You make your own luck for the most part and I’ve been pretty lucky when it comes to racing. Control what you can control and worry not about the rest. So that’s it for now for racing. Maybe I’ll toe the line again someday and maybe not. You cannot leave on a tie, we are 1-1. I took over twenty years off Brian. Now I am back to racing because I enjoy it for me. To do what you love is what is most enjoyable. Woot woot! Freedom is an amazing thing. Good for you for taking the time off. If you aren’t having fun anymore then don’t do it.